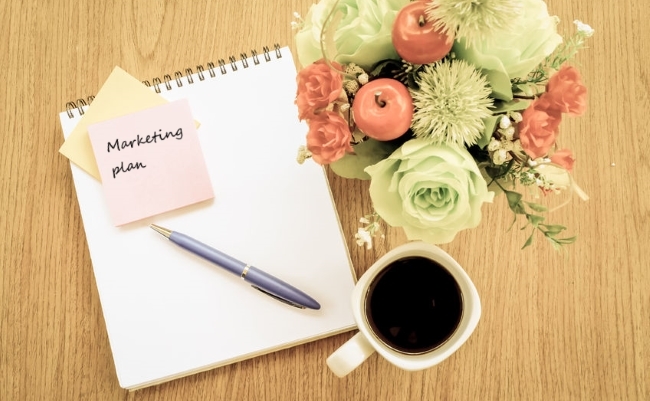 I’m pretty good at planning and organising, but I must admit the thought of writing a marketing plan does not fill me with excitement. But I do one every year (and have done since I became self-employed in 2002) because I know just how important it is. Creating a plan makes you think about some of the most important aspects of your business. You’ll need to ask yourself about the direction you want to go and the actions you’re going to take to get there. It also makes you tackle some key questions like “what is my brand?”, “who is my ideal client?”, “why should people buy from me?”. This will give you clarity and purpose and make it easier to make decisions. So instead of dithering about whether to go to a particular wedding fair, you can ask yourself “will my ideal client be there?”. If yes, great – you can book it. If not, look for an alternative. 2. Writing it down means it’s much more likely to happen. Psychology tells us that we are much more likely to do something if we’ve written that we are going to do it. 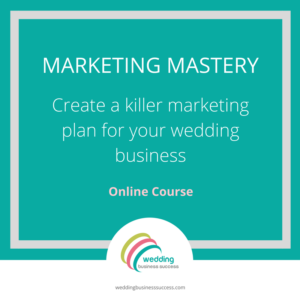 With a marketing plan you will be more organised and not just “winging it” from day to day. Without one it’s too easy to simply post every day to Instagram/Facebook/Twitter and think that’s your marketing done. Many marketing activities require long term, persistent effort and take some time to bring results (think SEO, PR, wedding fairs). Unless you have written these into your plan it’s all too easy to never start. You need to invest both time and money to market your business successfully, but when resources are limited it’s important to apply them to the right things. By planning both your time and expenditure, you’ll feel more in control and can make realistic choices about what to spend them on. 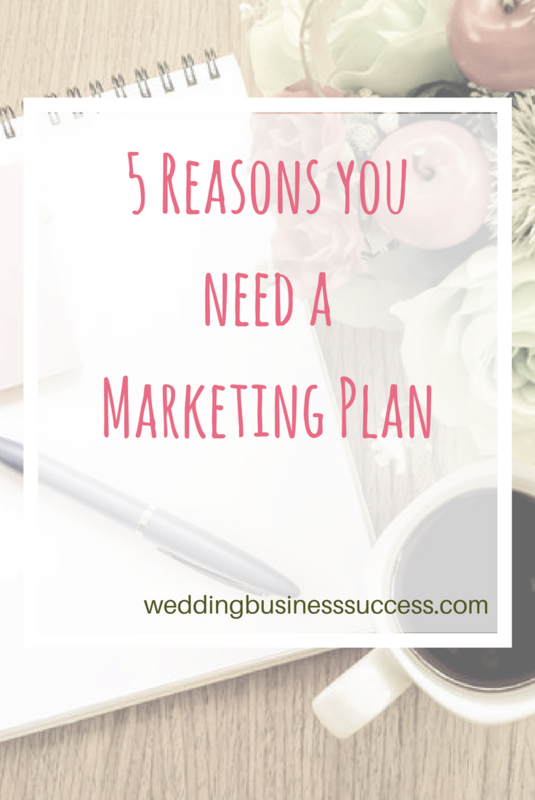 Now let’s be clear that when I talk about a marketing plan for a typical wedding business I’m not talking 20 pages of detail with an executive summary and lots of figures. Unless you’re looking for outside investment like a bank loan for your venture you don’t need to write War and Peace. I use a marketing plan that’s just 2 pages plus an action plan. And, of course, once you’ve written your plan don’t just file it away and forget about it. Get it out every month, tweak it and make sure you stay on track.